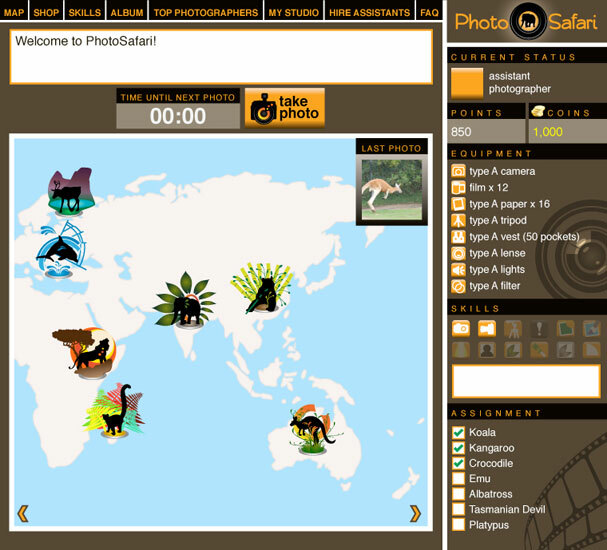 Photo Safari was the name of a Facebook game, where the player got to be a photographer jetting around the world taking pictures of wild animals. 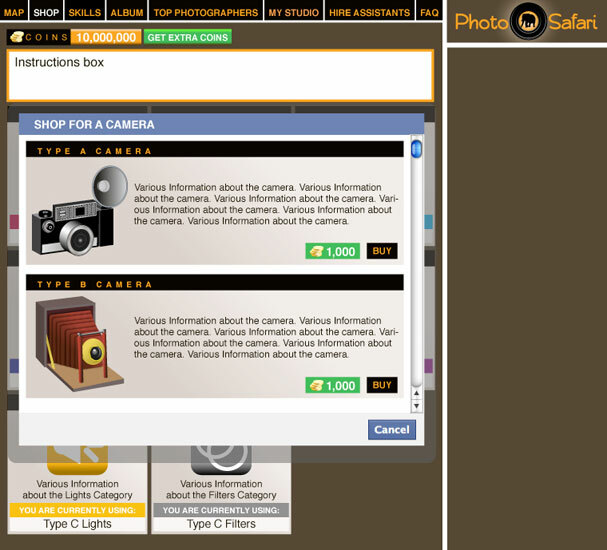 The player would then sell the pictures to magazines and thus making money to buy better equipment, like cameras, paper and film, or take courses to improve their skills and therefore take better pictures that would sell for more money. 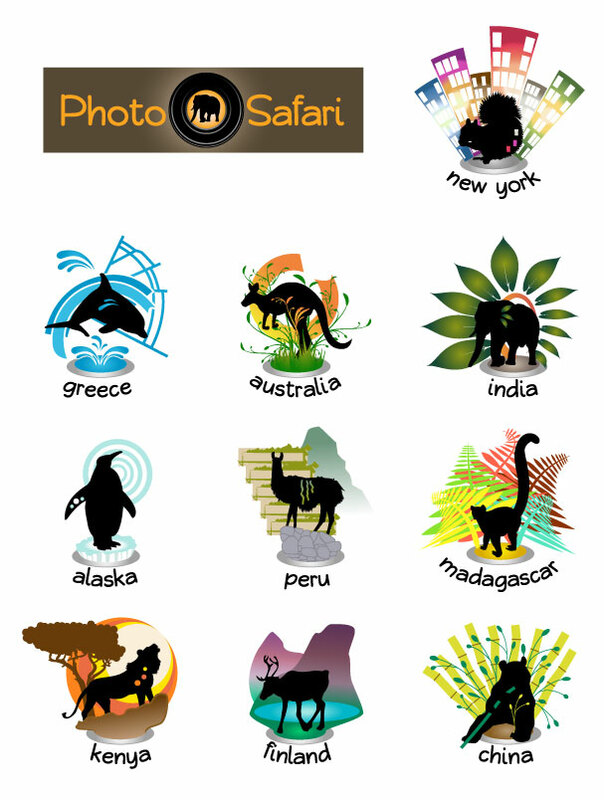 The icons seen on the first image above represent the various locations around the world the photographer had to visit. 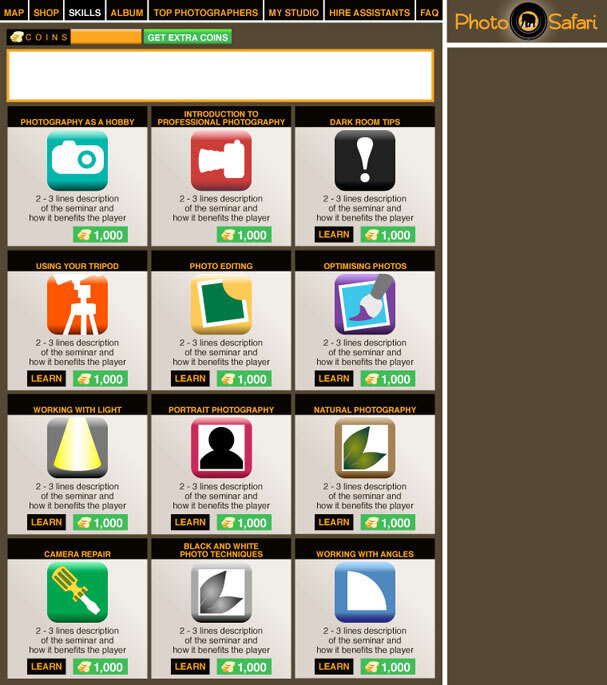 On the rest of the images you can see a bit of the layout of the game – the main board and the shop. I was responsible for all the graphics and the visual layout of the game. Development was done by Thiinkle ltd employees.